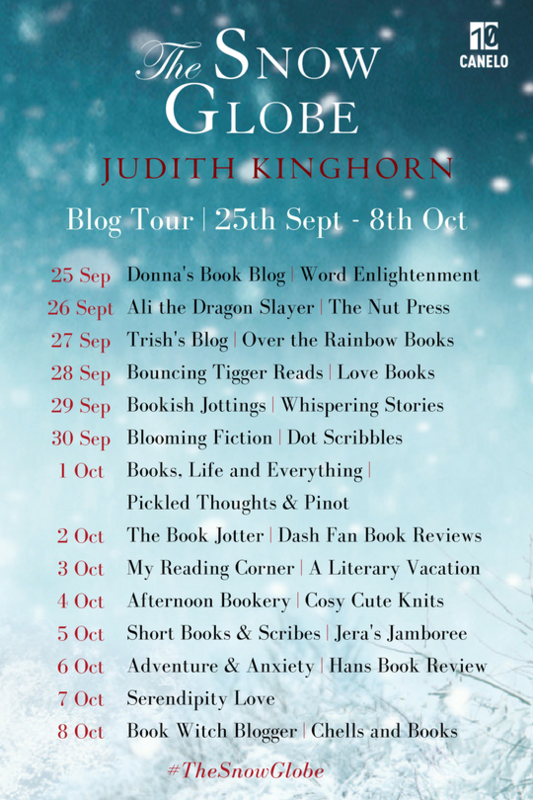 I'm delighted to be taking part in the blog tour for The Snow Globe by Judith Kinghorn - a coming-of-age period piece that puts family secrets under the spotlight. As Christmas 1926 approaches, the Forbes family are preparing to host a celebration at Eden Hall. Eighteen-year-old Daisy is preoccupied by a sense of change in the air. Overnight, her relationship with Stephen Jessop, the housekeeper's son, has shifted and every encounter seems fraught with tension. Before the festivities are over, Daisy has received a declaration of love, a proposal and a kiss - from three different men. Unable to bear the confusion she flees to London and stays with her elder sister. By the following summer, Daisy has bowed to the persistence of the man who proposed to her the previous year. When the family reunite for a party at Eden Hall and Stephen is once more in her life, it is clear to Daisy that she is committing to the wrong person. Yet she also believes that family secrets mean she has no choice but to follow her head instead of her heart. Will love conquer all, or is Daisy's fate already written? Daisy Forbes lives a privileged and luxurious life with her family in Eden Hall. Up until Christmas 1926, she's been a total daddy's girl, proudly displaying the snow globe he gave her throughout each festive period. But when she discovers he's hiding a secret double life from her, everything she has known begins to feel tarnished. Not only that, she becomes romantically entangled with three suitors vying for her affections. When her close companion Stephen announces he's leaving the country, Daisy begins to feel trapped in a world that feels increasingly claustrophobic - not unlike the world inside her prized snow globe. Life at Eden Hall is turned upside down for the entire Forbes family, with many characters considering their options. By the time they regroup six months later it is clear that affections and loyalties have changed. Daisy is with the wrong man, but is it possible that the one she truly loves is even more unsuitable? 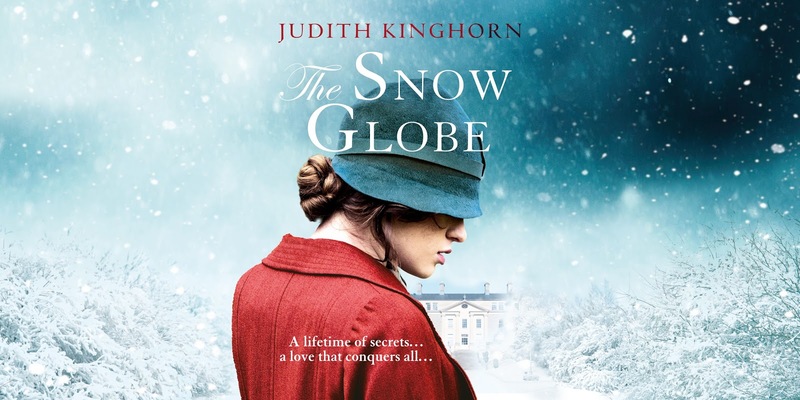 The Snow Globe has had many comparisons to Downton Abbey - and for good reason. It's so sumptuously descriptive that you can picture the elegance and finery as it leaps off the page at you. I'm a sucker for a period piece, and this inter-war era is so glamorous that I feel a bit jealous I'm not a part of it. The novel has two stories woven through it, with both Daisy and her mother Mabel on parallel journeys of self-discovery. Daisy not only has to figure out what she wants in her romantic life but more interestingly (in my opinion) the book follows her coming of age as she starts to view her parents as human and flawed. I think we've all had that wake-up moment when we realised our parents weren't perfect, and this, for me, was a really interesting plotline. I also really enjoyed Mabel's story. Her backstory was complex and heart-wrenching, and I loved seeing a strong female character following her heart entirely, putting herself first and completely blossoming. While in some ways Daisy did the same, she still came across as a somewhat insecure character who depends on others; Mabel experiences utter freedom and self-reliance which was wonderful to see. The Snow Globe is part love story, part family drama, focusing on secrets, love, loss and forgiveness. This novel was beautifully written, with some extremely likeable supporting characters (Noonie, Daisy's grandmother and Iris, Daisy's older sister are particular highlights) and a story I found completely immersive. For me, this is the festive version of a holiday read - easy to read and relatable. It's enchanting, perfectly emotive and full of vivid imagery. This is a family that has to fall apart to fall back together, and their story will tug at your heartstrings. Be sure to check out the other blogs hosting The Snow Globe on this tour! Huge thanks to Ellie at Canelo Publishing for providing me with this copy. With the comparisons to Downton Abbey I am definitely pushing this up my TBR.